It is that time of year when it feels like we are on the brink of something momentous. Summer is creeping closer as the sun radiates heat with a faintly burning edge and every week is notably warmer than the week before. Hiking clothes involve less length, less layers, less warmth-retention fibres. 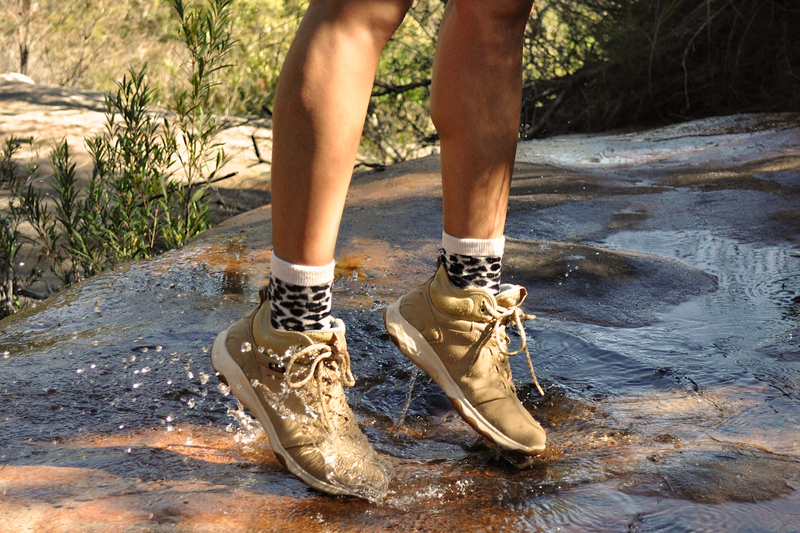 Lightweight socks paired with lightweight shoes ensue an inevitable spring in the step. It’s all a clandestine kind of pleasure that we embrace with gusto. 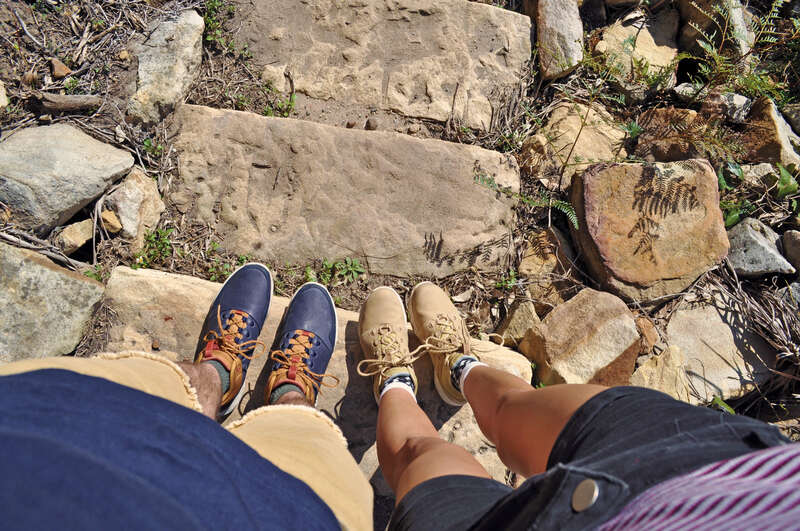 As a couple of city-slickers, we aim to escape the metropolitan bubble as often as our weekends will allow. Some trips are more ambitious & far-flung than others but any escape is an escape. 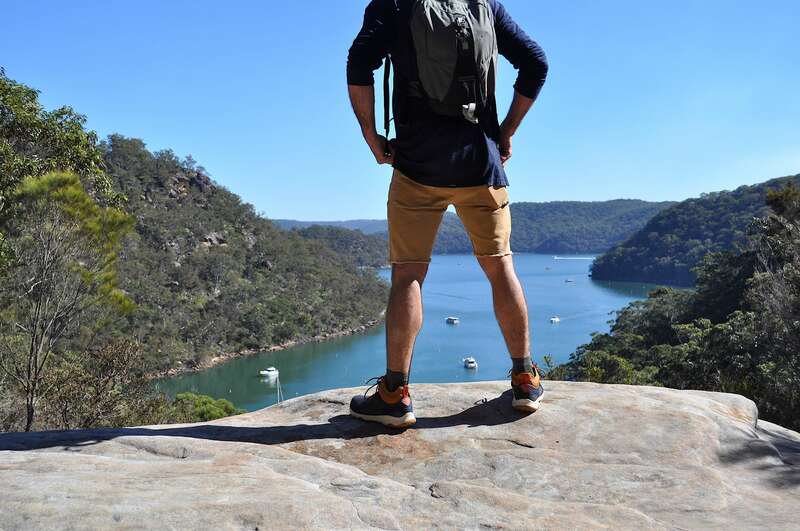 Even if it is just a 40 minute drive up the road on a sunny weekend - where on the Northern Beaches we have a series of hiking trails at our disposal, virtually in the backyard, thanks to easy access to Ku-ring-gai Chase National Park. 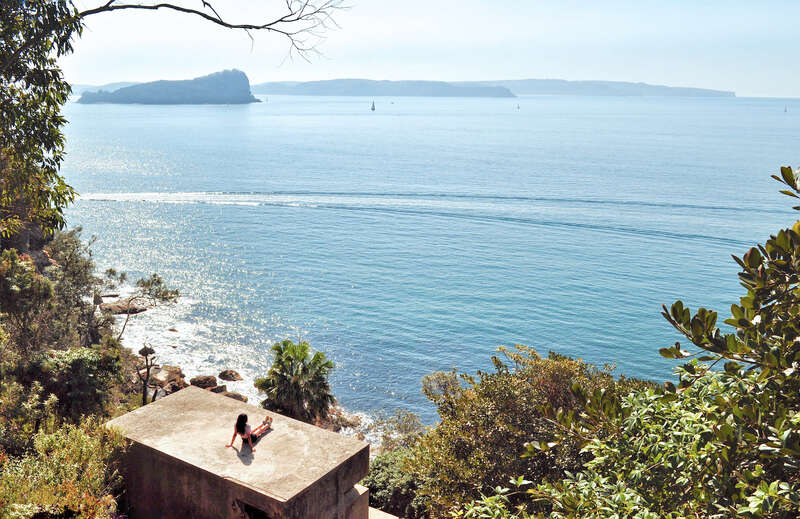 The West Head Army Track, which winds down the steep slope of West Head’s eastern face, honours the historical location that served as a Military Battery during WWII. It was established to protect the Hawkesbury River Railway Bridge and to prevent Japanese raiding parties from entering Pittwater and its surrounds. 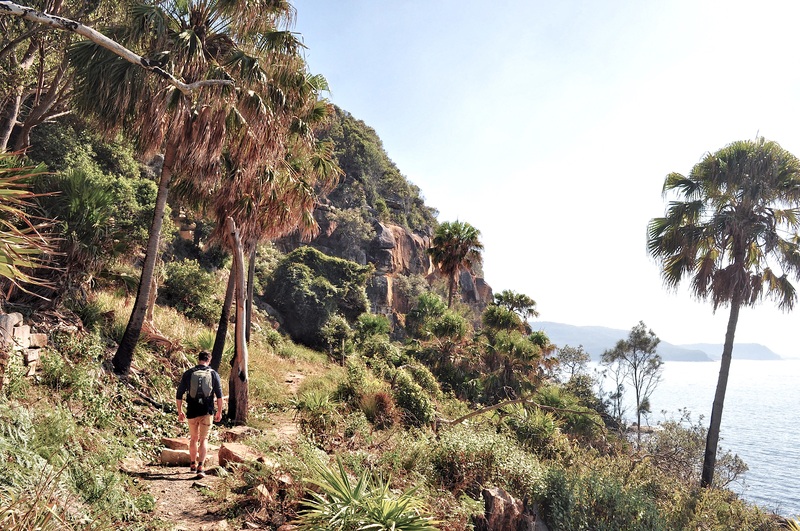 The brief 1km round-trip trail is graded ‘hard’ due to the steep descent and ladders but avid hikers would certainly view it as a mere warm-up. Mid-morning is best for the prettiest light slanting in through the trees from the north. 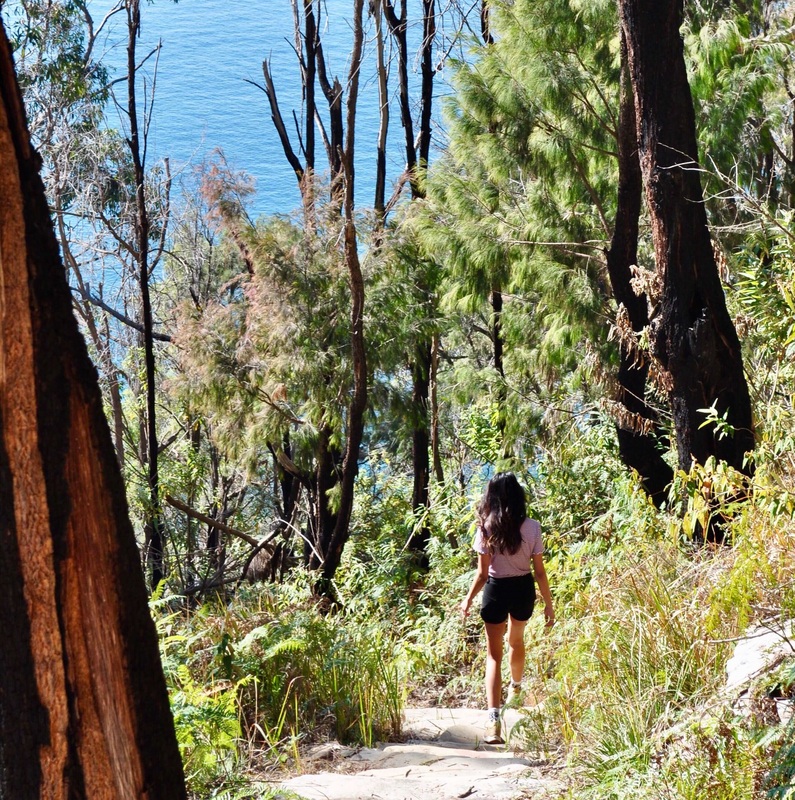 Starting from the road, the path alternates between gravel trail and solid sandstone steps that gently guide your descent through a light eucalypt and angophora forest. Glossy black cockatoos dart in and out of the casuarina tops, endlessly vying for your attention if only you care to tear your gaze away from the tantalising glimpses of Broken Bay and Lion Island through the trees. Acacia wattles will bloom here in high spring, lining the pathway with festive pale yellow fronds that fill the air with a heady honey scent. The 300m scenic descent leads you to a steel platform looking out to Broken Bay and the big blue yonder of the Pacific Ocean. The solitary form of Lion Island looms to the left at the entrance to the Hawkesbury River. 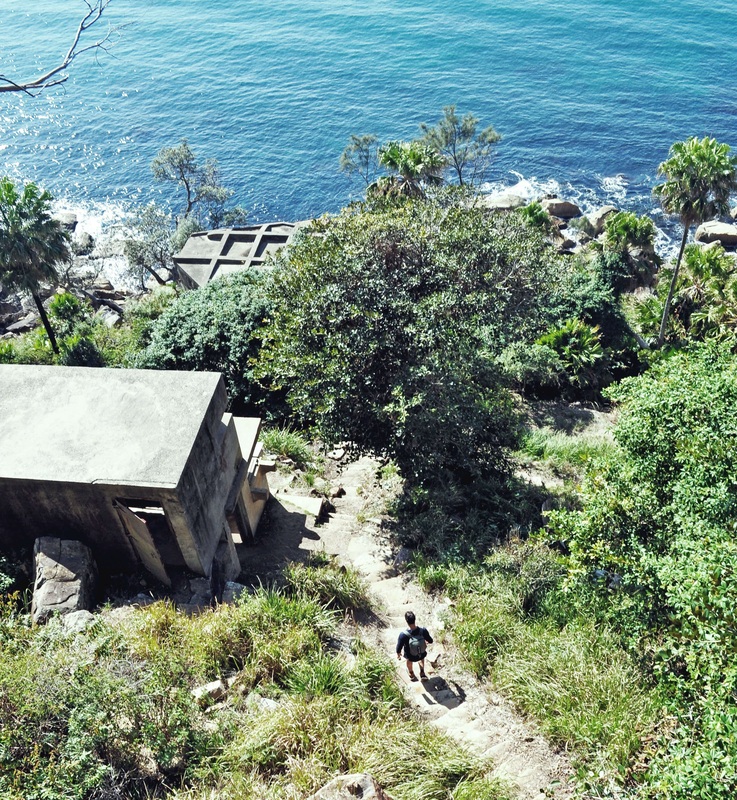 Here a series of sturdy ladders hug the steep drop and guide you down to the highest surviving structure: The Observation Post, a cubby-like utilitarian bunker with horizontal slits for windows allowing for sheltered views out to the water. It is here where you take the time to imagine the enormous task of establishing the original track in 1941 and the endurance & strength of the soldiers tasked to man the site. Perched above the shoreline, these silent remnants are an intriguing reminder of when heavy equipment was transported down the track via a purpose-built railway in the wartime era. From the Observation Post a staggered rocky path winds further down to where the two covered concrete gun casings stand sentry at north & south, flanked by spontaneous palm trees beckoning like a hidden tropical oasis meets new-age sci-fi movie. 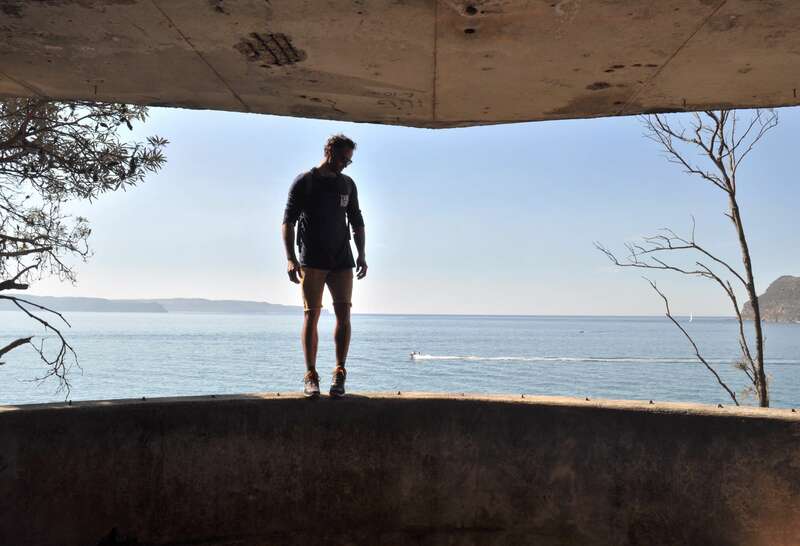 With their geometric grid-top concrete design, the twin gun casings sit embedded into the headland as though severed from a fallen intergalactic spaceship. Dystopian dungeon was another likeness that came to mind. These weathered old-world slabs of concrete fashioned in a futuristic design, out of place yet somewhat organically belonging - much like the large rock boulders perched up on higher ground. Walking along the path of what was once a railway track between the two gun positions, it remained a strange thing to fathom that the city was just 44 kilometres away - merely over the headland. 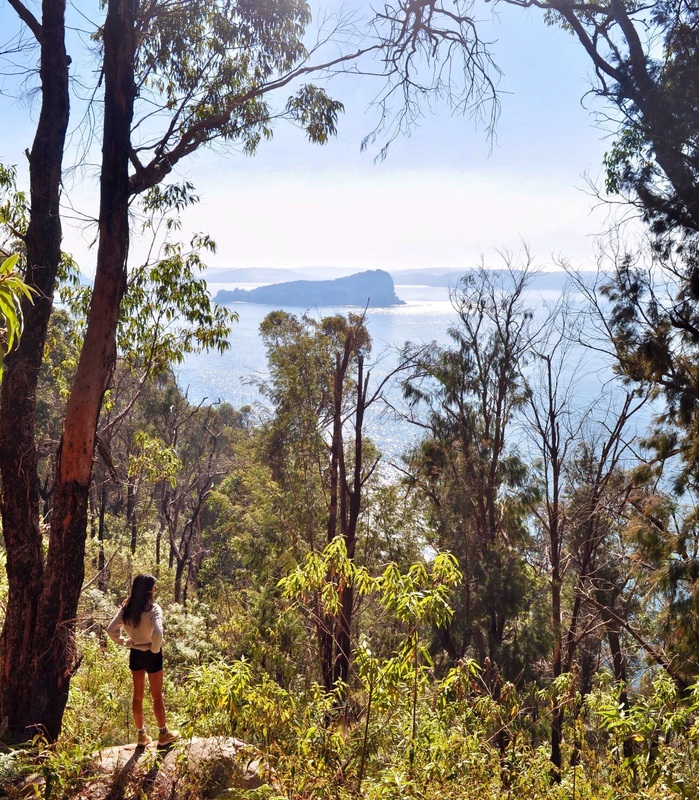 Whilst West Head Lookout and neighbouring Barrenjoey Head are the northernmost points in metropolitan Sydney, the sweeping vistas from this area reveals how the coast progresses further north. Peaceful waterways, sandy coves and eucalyptus forests are wedged between the populated areas of Northern Sydney and the NSW Central Coast. The ethereal vista of Lion Island across Broken Bay offers this place a mysterious allure. To the north, the NSW Central Coast stretches out like a mirage and on the clearest days you can catch a glimpse of Bouddi National Park. While the age old saying of “the destination doesn’t matter as the journey itself” is so cliché, it still reigns true. Because what makes this track worthwhile is the chance to move the body & still the mind along one of the most scenic paths in one of the most peaceful pockets of Sydney. 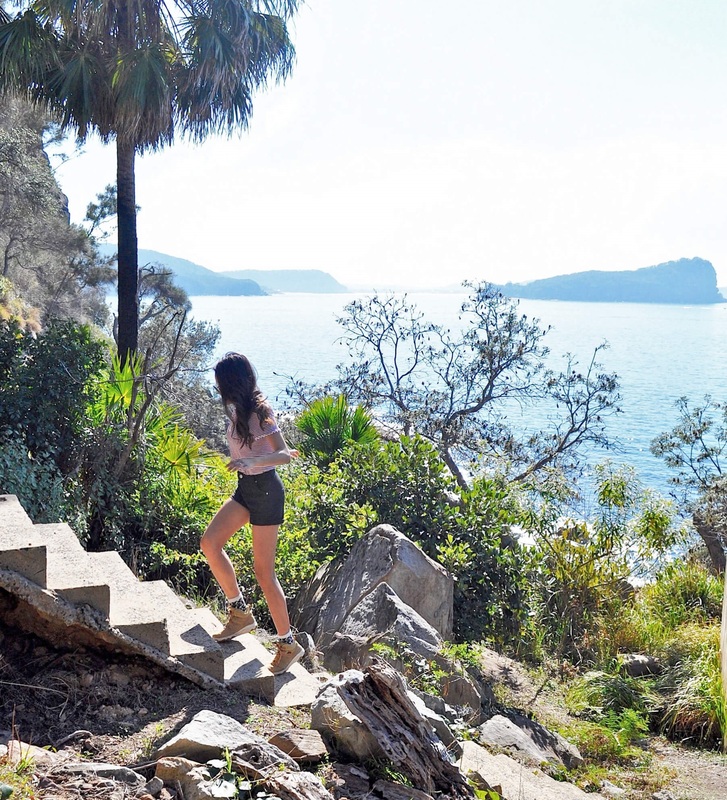 To freely explore these historical structures against the glittering backdrop of Pittwater lends itself to a sense of true escapism, a brief reprieve from city life….without clocking up the kilometres. 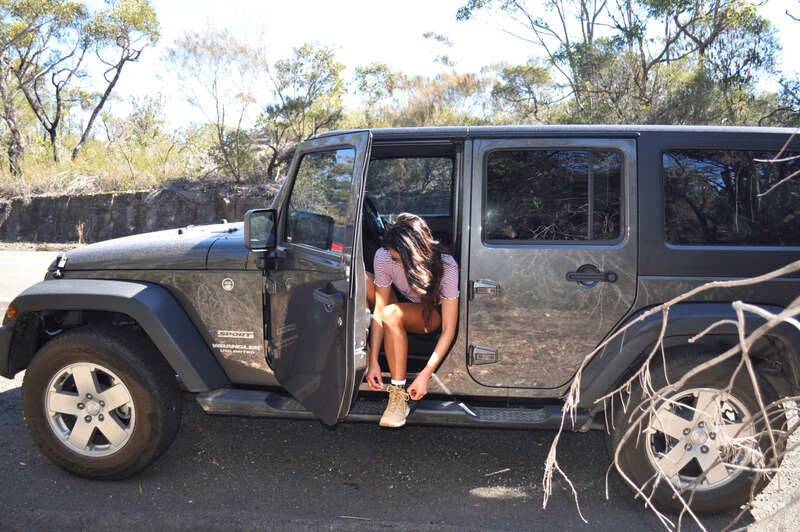 A mere five minute drive up the road is the America Bay track – a short track that offers a range of scenery through the bush to the bay. A sandy pebbly pathway winds through native scrub, woodlands of scribbly gum and bloodwood. 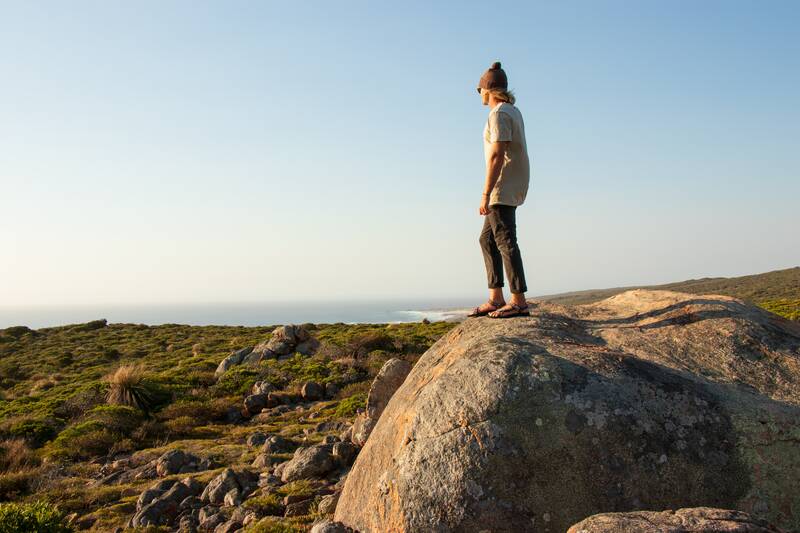 There is a detour to view historic Aboriginal engravings and once you are back on the main path you are delivered to a freshwater creek & pools in a picturesque clearing that hints at what’s to come. After walking for a few more minutes you will be greeted by a small waterfall at the end and an expansive view of America Bay. 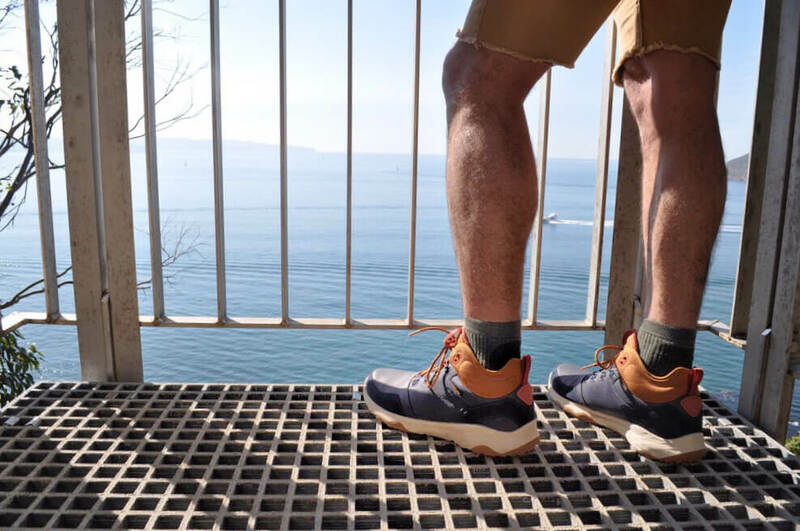 The flat rock ledges serve their purpose for the perfect panoramic pit-stop. This track is suited to any time of the day, although in high summer you could plan this hike for the late afternoon. Go one further: bring along out-of-town visitors; roll out the picnic blanket & the snacks; stay for the sunset sky-show over the bay; and revel in the bragging rights to living in a city that exists so close to such magic. Shop the new Arrowood 2 collection.